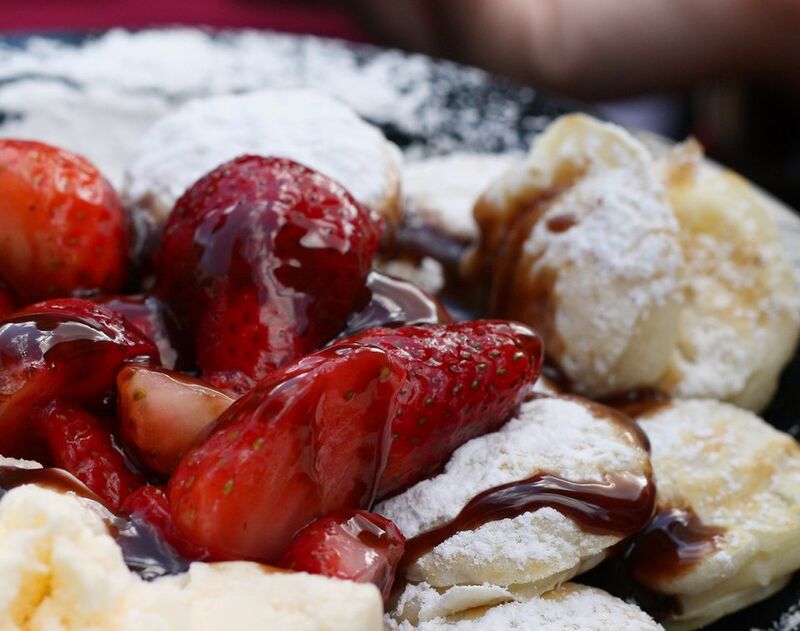 Otherwise known as these baby pancake puffs are traditionally served with melted butter and sieved powdered sugar. Perfect for Sunday brunch, a lazy lunch or dessert. In a small bowl, dissolve the yeast in the milk. In a separate bowl, combine the buckwheat flour, flour, eggs, yeast, sugar, salt and half the milk. Whisk smooth. Now add the remaining milk and beat again. Serve Pancake Puffs with strawberries, whipped cream and a dusting of powdered sugar. If you happen to have a poffertjes pan (usually a cast iron pan with a dozen or so indentations) please do use it, but I really don't think a special shopping trip is required. I have managed to make perfectly good poffertjes without the special pan on many an occasion.